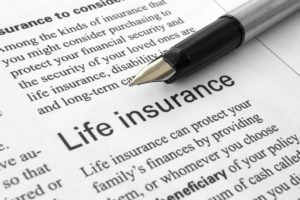 Which Life Insurance Product Is Right For You? Life insurance provides important peace of mind for you and your family that, should the worst happen, your loved ones will be looked after financially, if you’re no longer around to take care of them. Follow our five-step plan to get the right life insurance product for you. If you have dependants such as a partner, children or elderly parents, the answer is yes. Without you around to bring home a regular income, they may struggle to make rent or mortgage payments, pay utility bills, cover care or education costs, or even put food on the table. 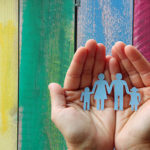 Paying for life insurance is paying for peace of mind that should the worst happen, your loved ones will be protected. 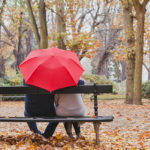 Generally speaking, you don’t need life insurance if you have no dependants, but it’s worth thinking about if you have a joint loan or mortgage with a friend, and also while you’re young, as a pre-emptive fixed rate policy when you’re in the peak of health will mean lower insurance premiums in the long term. There are a variety of life insurance policies on the market, offering different features and benefits. Many will pay out a lump sum in the event of your death, while others will provide an on-going income. The money can be used to pay for mortgage payments and other debts, bills, everyday living expenses, education costs, funeral costs, childcare and so on. Make sure you take into account just how much money your family will comfortably need when deciding how much to insure for. Whole of life cover: guarantees your dependants a payment regardless of when you die. Level term insurance: pays out a fixed lump sum if you die during the policy term. 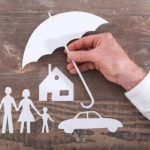 Increasing term insurance: takes into account the rising cost of living, so the sum insured increases each year, either by a fixed amount or in line with inflation. Decreasing term insurance: covers debts that gradually reduce over time – such as a mortgage – so you’re not paying a premium to protect a diminishing debt. Renewable term insurance: which provides cover for a fixed period and can be extended at the end of the policy without the need for further medical checks. Everyday living expenses for your family, such as food, bills and rent (or mortgage payments). The cost of larger purchases, such as holidays, Christmas presents, dental care, and so on. The amount you’d want to put towards your children’s future, such as education or helping them get on the property ladder. The costs involved in your passing, such as estate management fees and funeral costs. Remember, it’s better to be slightly over-insured than under-insured! If you’re reasonably fit and healthy, don’t smoke and don’t have any risky hobbies or jobs, you’ll benefit from lower life insurance premiums. There are even some products on the market, such as the Vitality Lifestyle Plan, that reward healthy habits with lower premiums and discounts at restaurants, cinemas and nationwide attractions. If you need any help with life insurance, contact Continuum where our professional team will be happy to help.